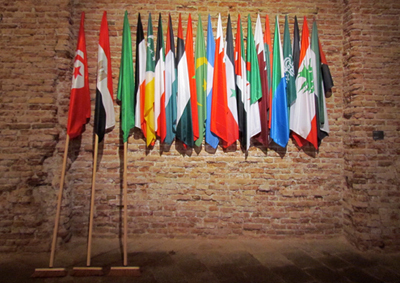 The Future of a Promise will be the largest Pan-Arab show of contemporary art at the 54th International Art Exhibition – la Biennale di Venezia. 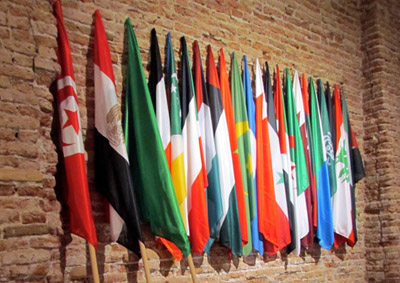 From Tunisia all the way to Saudi Arabia, this landmark exhibition brings together more than twenty-five recent works and commissions by some of the foremost artists from the Arab world. 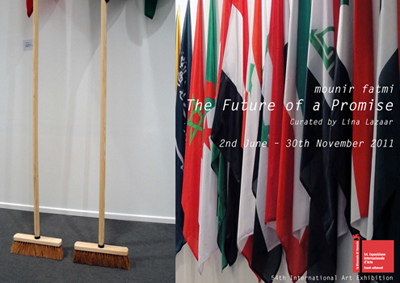 Presenting important works that range from installation, performance and photography, to video, sculpture and painting, The Future of a Promise includes the following artists: Ziad Abillama (Lebanon), Manal AlDowayan (Saudi Arabia), Ahmed Alsoudani (Iraq), Ziad Antar (Lebanon), Ayman Baalbaki (Lebanon), Lara Baladi (Egypt/Lebanon), Fayçal Baghriche (Algeria), Yto Barrada (Morocco), Taysir Batniji (Palestine), Abdelkader Benchamma (France/Algeria), Ayman Yossri Daydban (Palestine/Jordan), Mounir Fatmi (Morocco), Abdulnasser Gharem (Saudi Arabia), Mona Hatoum (Lebanon), Raafat Ishak (Egypt), Emily Jacir (Palestine), Yazan Khalili (Palestine), Ahmed Mater (Saudi Arabia), and Driss Ouadahi (Algeria), as well as three Abraaj Capital Art Prize Winners, Jananne Al-Ani (Iraq), Kader Attia (Algeria), and Nadia Kaabi-Linke (Tunisia). The exhibition is being curated by Lina Lazaar, produced by Edge of Arabia and supported by Abdul Latif Jameel Community Initiatives and Abraaj Capital, three newly partnered organisations whose commitment to contemporary art practice in the Middle East is at the heart of a current artistic renaissance in the region. 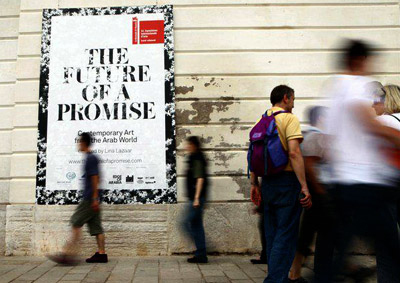 The Future of a Promise examines the way in which an idea is made incarnate in a formal, visual context and how a promise opens up a horizon of future possibilities, be they aesthetic, political, historical, social or critical. With the events currently unfolding in the Middle East, the question of the future and the promise inherent within culture has assumed an even more acute degree of pertinence. 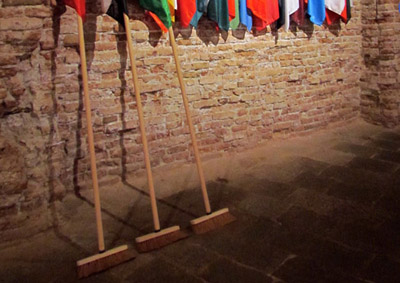 It is with this in mind that the exhibition enquires into the promise of visual culture in an age that has become increasingly disaffected with politics as a means of social engagement.